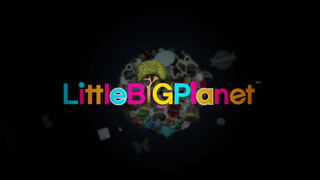 LittleBigPlanet is a game heavily based on user-generated content, with a lot of materials to allow players to create levels. You could make levels ranging from platformers, to minigames, to adventures, to blank levels with objects scattered everywhere. 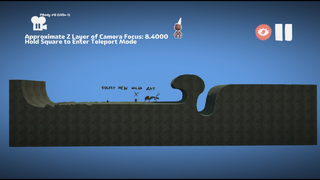 Graphics such as HUD, placeholders, stickers, and textures. Icons for items you can't normally get in your Popit. Downloadable content that was never given out nor made available for purchase. Text that isn't seen anywhere in the game. Through hacking, it's possible to get the "Freezatron" tool, dubbed by the community as the "Ice Hazard", in your Popit. However, the tool does not work, and refuses to come out when selected. This is most likely because the tool was compiled for an earlier build of the game, and the other tools have been updated since. The following is the leftover language data mentioning the ice tool. "I thought I told you to freeze"
Added in game patch 1.02, the Image Import Tool allows you to import images(.PNG, .JPEG, etc) from the PS3 HDD into in-game textures. The tool is fully completed with an in-game icon and prize data, and is fully functional when hacked into the Popit. It was never released due to concerns of players importing explicit content. The following is associated language data for the Image Import Tool. The image <em>%1</em> is too small. Images must be at least 4 pixels wide and high. The image <em>%1</em> couldn't be imported for some reason. There's not enough memory to import <em>%1</em>. Try using a smaller image. The image <em>%1</em> was imported successfully! You'll find it in the the <em>My Pictures</em> page in your Popit. There was an error decoding the image <em>%1</em>. Please try again or use a different image. The ant specifically, showing the joint parenting. 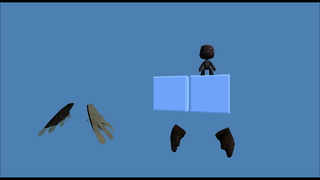 gamedata/levels/palettes/palette_creatures.bin is an unused level presumably put together to test the different types of NPCs LittleBigPlanet would have throughout development. The level .bin file only loads in LittleBigPlanet 3, which internally removes some of the error-checking when loading levels. In LittleBigPlanet, the level fails to load, and if it's forced to load, it simply freezes. 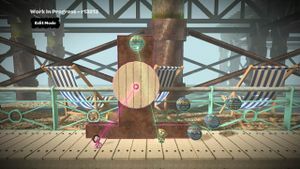 Despite only loading in LittleBigPlanet 3, the level only exists in the first, launch disk copy of LittleBigPlanet and does not exist in the Game of the Year Edition, nor the PlayStation Network Digital version. Upon loading the level, the only visible object is the Walker (seen below). The rest of the level was not given any form of material data, and can be replaced with Cardboard or any other material in the user's Popit by using the Material Changer. 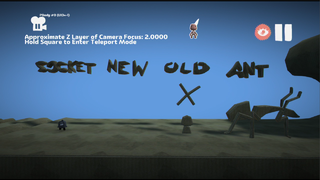 Upon replacing the rest of the level with Cardboard, we can see some developer messages written in Material, "Socket," "New," "Old," and "Ant." "Socket" is referring to the Walker object below it, which cannot be tweaked (it sends the user to the Pod) and does not move. "New" has nothing below it that is tangible. "Old" has an X and a small, round object below it almost resembling a torso and a head. And below "Ant" is a giant ant-like creature. 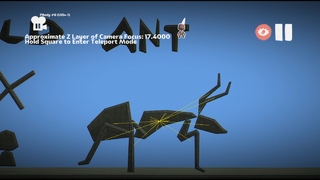 In the LittleBigPlanet 3 Alpha, enabling the "Graphics/Draw Parenting" feature shows that the Ant is a parented object, and when the game is unpaused, the Ant's limbs stay attached to it, and its antennae wiggle back and forth. Though it is a materialized object, it also contains code similar to Sackboy, located in gamedata/scratch/ant.cha. The bottom left corner of the level, with the floor material changed to Cardboard for the sake of clarity. gamedata/levels/palettes/palette_inventory_start_creative.bin is a mostly featureless level with no background, possibly intended to be an early version of the default empty level. It contains seven long strips of material (three thick layer strips and four thin layer strips) that make up a floor extending from the far left of the level to the far right, and a white metallic square close to the bottom left corner of the level. There are no walls or ceilings, and the floor can be moved or even deleted with the Popit Cursor. When the level is first loaded, the only visible object is the aforementioned white square; the floor has no material data, though it's possible to replaced this invisible material with any unlocked material in the Popit. The blue squares and floating costume pieces in question. For some reason, the Hessian Sackboy Fragrances DLC has a level associated with it, which can be found in gamedata/levels/palettes/dlc_aprilfools/pal_costumes.bin The only objects in this level are two transparent blue squares with models for the Chicken Wings and Leather Gloves costume pieces in front of them. The exact purpose of this level is unclear. Plenty of levels have materials, objects or stickers that were not given out to players, were possibly hidden, and through glitching can be acquired. 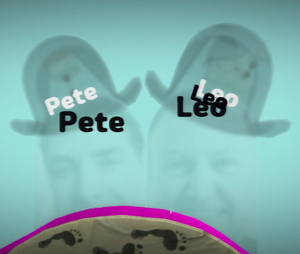 In the Introduction level, the two Media Molecule workers Pete and Leo actually have a few repeats of their names underneath themselves in black. They can't be seen normally, but when the level is loaded in Create Mode via a glitch and the objects are hidden, the names are revealed. 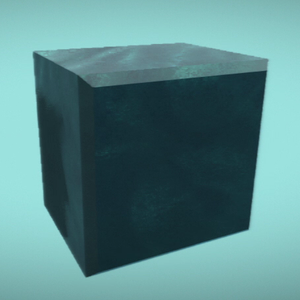 Dubbed "Dark Glass" by members of the game's community, this material has the properties and texture of Dark Matter but is transparent and has sharp edges like Glass. It can be found in some Gardens levels. A creature internally known as the "walker". In-game, he would have been an early solution to a moving enemy. He was cut in favor of Creature Brains and Creature Legs, but you can still see references to him in the Creature Brain's tweak menu icons. He is composed of two models: gamedata/mesh_library/non_player_characters/walker/walker_head.mol and gamedata/mesh_library/non_player_characters/walker/walker_chassis.mol. 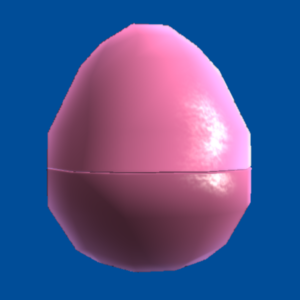 gamedata/mesh_library/common_objects/collectable_eggs/collectable_egg.mol is a plastic prize egg that appears pink in-game. This was used for storing prizes in early versions of the game, but it was replaced by the Prize Bubble late in development. This is apparent because a rooster sound is played when all of the prizes in a level have been collected. gamedata/mesh_library/cosmos/radio_tower/radio_tower.mol is a radio tower. It is found in the cosmos folder alongside other pod-related assets, suggesting that it would have been found in the pod. gamedata/mesh_library/cosmos/spring_sign/spring_sign.mol is a springboard with an image on the front of it. 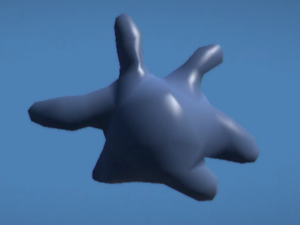 In-game, the model has physics and bounces around. 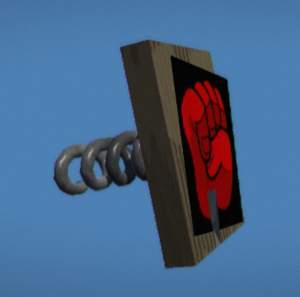 The note's texture in-game is the red fist sticker. 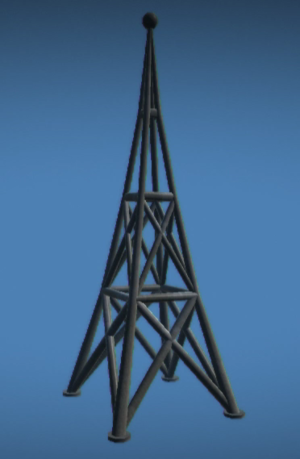 Like the radio tower, it is also located in the same folder as the other pod-related models. gamedata/mesh_library/decorations/glue/glue.mol is a dab of glue. It was intended to be a tool used for sticking stuff together, as seen in early gameplay. It changed to simply holding down the X button. It appears light blue in-game. Found within gamedata/mesh_library/player_character/sack_boy_pinched_anims are two death animations that are never usually seen. 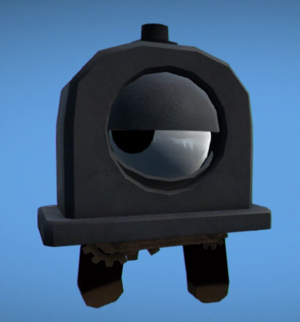 While both of these were eventually used in LittleBigPlanet 3's Character Animation Tweaker, they go unused in this game. 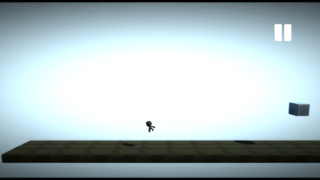 A death animation associated with the Electricity Hazard, where Sackboy's eyes pop out before he jumps off screen. This was meant to be played after death_electric_loop.anim, but under normal conditions Sackboy explodes before it has a chance to play. It's possible to see part of the animation by using the Hold to Retry function as you're falling into a pit of electricity, though this only shows him jumping off screen. A death animation of Sackboy choking on Horrible Gas. While the animation does play upon touching Horrible Gas, Sackboy gets destroyed almost immediately, so the full animation never has a chance to play. The final game has eight themes: The Gardens, The Savannah, The Wedding, The Canyons, The Metropolis, The Islands, The Temples and The Wilderness. However, in various places on the disc, are hints to four additional themes that are not present in the final game. Each theme had its own music and background. While the backgrounds are gone from the game's data, the ambient sounds from them still remain, and the four songs that were used for their respective themes were re-released in the Mm Music Pack 1 DLC and the Monster Pack DLC. This also explains why there is only one music pack - because there wasn't any more music leftover to release. To further prove this, the filenames of the DLC songs each relate to the themes they would be from. The most well-known theme that was once in development is the English Seaside / Beach theme. It was seen in early gameplay trailers. The interactive music track used in this theme would be later seen as "Tea by the Sea" in the Mm Music Pack 1. The internal filename for the song is i_english_s.fsb. All the models and textures for the beach background have been purged in the final game and all stickers given out for the theme were given out in the Savannah levels. Not much is known about this theme. Its song has the internal name i_russian_t.fsb and would later be released in the Monster Kit as "Party Ghouls". An unknown theme. All that is known is it would take place on a western train yard. Its song has the internal name i_american_mw.fsb and would later be released under the name "Well Trained" in Mm Music Pack 1. This theme could be a bit sketchy as there is even less known about it than the other themes. Its song has the internal name i_japanese_a.fsb and would later be released under the name "Wise Owl" in Mm Music Pack 1. Many, MANY things from the early versions of LBP2 exist as language data in the later patches of LBP1. It is unknown why all this is in the first game, perhaps Media Molecule was planning to add the extra content as DLC? At one point in development, you could paint stuff using a paintbrush or similar tool, and the code for this still exists in the game. Tests were ran to see which levels used the most resources on the PS3, and here were the results. In the raw level data for the Pod, the Info Fridge, seen in various concept art, is referenced hanging on a string. It was replaced with the Info Moon. Released alongside the game as a Day 1 Patch. The song Tapha Niang was converted to an instrumental cover due to controversy surrounding the song's lyrics, which contained words from the Qur'an. The controls for removing the Jetpack powerup were updated. Specifically: What were the Jetpack removal controls before this update? Released on May 14th, 2009. The icon used for the track Party Ghouls from the Monster Kit was red when it was added in Game Update 1.12, but it was changed to green in Game Update 1.13. Released on November 30th, 2009. The ability to enter Create Mode with other online players was implemented. Both the network code and online matchmaking were rewritten. The ability to Auto-Reject join requests from other players was added, which can be found in the Profile Settings menu. Numerous changes related to save data were made, making it faster and more robust and allowing more space for creations to be stored. User profiles are now saved in the Game Data Utility, rather than the Save Data Utility. Individual levels on My Moon can now be backed up to the Save Data Utility, with the option to do so being located on the same page as the Publish button. Whilst hovering the Sticker and Decoration tool over Sackboy, pressing L1 and R1 will now rotate him 90 degrees either clockwise or counter-clockwise, depending on which button was pressed. Playing a level but not completing it now results in a silver Sackboy medal being displayed on the level's badge. Completing the level will change it into a gold Sackboy medal. Released on December 22nd, 2009, this update contains features and assets related to the Pirates of the Caribbean Premium Level Kit. Players can now reset their profile picture to their PSN avatar. Level statistics, including plays, ratings and hearts, can now be found in the More Details page on a level's info bubble. The thermometer display can now be hidden in Create Mode, with the option to do so being found in Display Settings. This page was last modified on 20 April 2019, at 18:26.